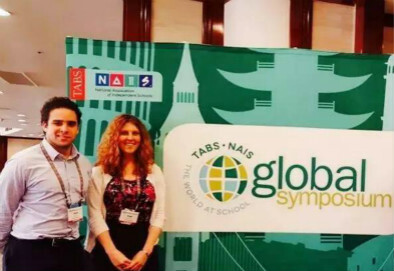 Due West Education attended the TABS/NAIS Global Symposiumin Long Beach, CA on Sunday, April 17-Tuesday, April 19. The conference brought together over 240 international educators from over 100 different schools, to discuss the trends for global education and give insights on the challenges facing their schools. Due West advice: Schools respond best to students whose personality shines on camera, and find ways to share unique and interesting stories about themselves. Due West experience: “This session was very interactive! Fran Ryan, Assistant Headmaster and Brooke Giese, Director of Global Studies from Rumsey Hall had educators discuss different characteristics they see from introverted and extroverted students, and how this can help them or hurt them in the classroom. Most importantly, several schools shared the techniques they use to allow more introverted students to show their strengths in interviews and in the classroom. Due West advice: Schools are looking for all types of students, including both introverted and extroverted personalities. Identify what is interesting about you and determine the best way to show it. Due West experience: “Hearing about communication challenges from the schools’ perspective was the most valuable part of this workshop. Chris Blondin, Associate Director of Admission from The Governor’s Academy and the founder of Finding School.com, shared data and personal stories of how Chinese families communicate and gather information about secondary schools. Also, different schools in the session shared their most frustrating communication barriers among Chinese families, which can unknowingly hurt the students’ admission application. Due West advice: A school’s website is the best place to find helpful and accurate information, including testing requirements, college matriculation data, and academic curriculums. Do not annoy an admission officer by asking obvious questions. Also, be very cautious when sharing personal emails with school officials on your WeChat or infriend groups – if they discover this has happened, the school can revoke your admission decision! 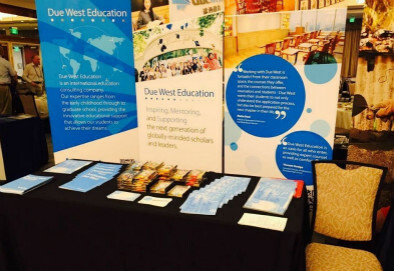 Due West experience: “This roundtable discussion allowed educators involved in the admission and marketing processes to connect with other like-minded individuals. They shared their concerns and advice for the next cycle, including how to make the most out of international recruitment trips and how best to work with consultants. Due West advice: Many schools have limited travel budgets, so they are very strategic about how often and which cities they visit in China each year. Many schools work with reliable consultants to help them find great students. However, a school will quickly lose trust in a consultant that tries to send them underqualified students or students who are the wrong fit for their school community.